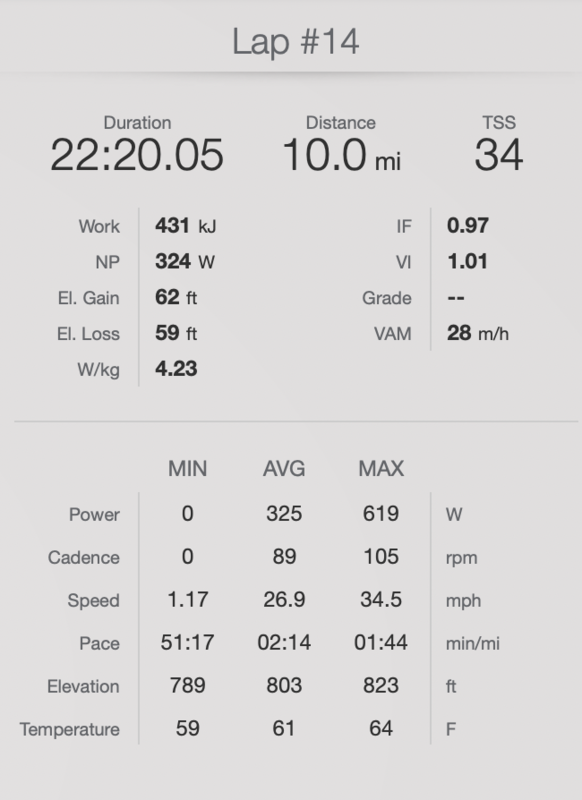 Pretty good ride with the slightly adjusted saddle position (lower, and back, just a little) with power about 10 watts higher on the way back than out (330 vs 320). Felt good for the first one. Kind of windy and cool but overall a good night. Much betterthan last years first effort at 23:30 or so.